Portable USB MIDI keyboard of M-Audio of middle level is a Oxygen 49 MK IV – device with 8 velocity and pressure sensitive drumpads, 8 assignable knobs and 9 programmable sliders. As it follows from its name, it has 49 velocity and pressure sensitive keys; transport control buttons for DAW operation; LCD screen for parameters of work showing; as well as on back panel there are : TRS 1/4″ jack input for sustain pedal, USB port for connection to computer and powering, work mode switch and Kensington Lock slot. M-Audio Oxygen 49 MK IV works in Windows XP, Vista, 7, 8, 8.1 and 10 and Mac OS X 10.4.11 and newer and allows to control modern DAWs : Avid Pro Tools, Ableton Live, Steinberg Cubase, FL Studio, Cackewalk Sonar, REAPER and others ( for part of them there are DirectLink presets for quick integration ) and their VST/AU instruments and effects. It is supplied with programs DAW Ableton Live Lite, synthesizer SONiVOX Twist and work station AIR Music Tech Xpand!2. Package with M-Audio Oxygen 49 MK IV contains : USB cable, disks with drivers and software, warranty card and user’s guide. MIDI keyboard is good and has all controllers, necessary for professional development and work; there is only ability to wish for power adapter input for work with tablet PCs and notebooks without load on their batteries. 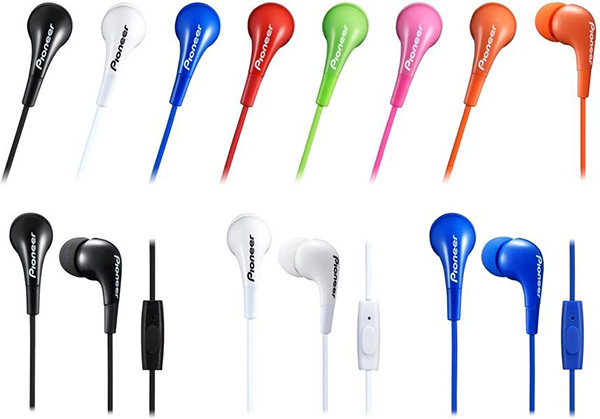 Among in-ears dynamic headphones with not high price there is a new device – 10 mm headphones Pioneer SE-CL502 with 20 Hz – 20 kHz sound frequencies playback support, 100 dB sensitivity, closed acoustic architecture and 17 USD price. Their impedance is 16 Ohms and mass is 4 g, cable is mounted to both cups, is not detachable, its length is 1.2 m and it is connected to sound source via 1/8″ mini jack connector. Pioneer SE-CL502 have no active noise cancellation function, as some monitor headphones do, each cup has only 1 audio emitter. Headphones have no built-in microphone and smartphones and volume control buttons; as well as clip and slider on cable, to prevent its tangling and clinging to clothes and surrounding objects. Package with Pioneer SE-CL502 headphones contains : interchangeable ears-tips of different sizes ( small, medium and large ), warranty card and user’s guide. All in all headphones are good enough, they are mainly oriented on use during sportive exercises and trainings and everyday compact use, they are not overpriced. There is need to note, however, that there is ability to find similar in-ears headphones cheaper and, adding small sum, there is ability to buy good monitor headphones, providing better sound quality. Pioneer Corporation – is a Japanese manufacturer of electronics, company was founded in 1938 year in Tokyo as service center for repair of radio and speakers. Currently this is one of the largest world wide corporations – producers of electronic devices; it participated in development of many electronics novelties, among them there are : cable TV, optical disks, DVD, plasma displays, Organic LED ( OLED ) displays and other devices. There is also need to note, that in the country of the rising Sun audio technics and electronics overall usually is developed and manufactured with high components and production quality. Company JVC presented its novelty – 11 mm in-ears headphones HA-KD1, created specifically for kids and having 20 Hz – 18 kHz reproducible sounds frequencies range, neodymium magnets and 200 mW max input power. Their sensitivity is 85 dB/mW, impedance is 33 Ohms and mass with cable is 11.3 g, without it : 4.5 g. Wire length is 0.85 m, it is mounted to both cups and is not detachable; to sound source it is connected via 1/8″ mini jack plug with nickel-plated contacts, compatible with Apple iPhone. 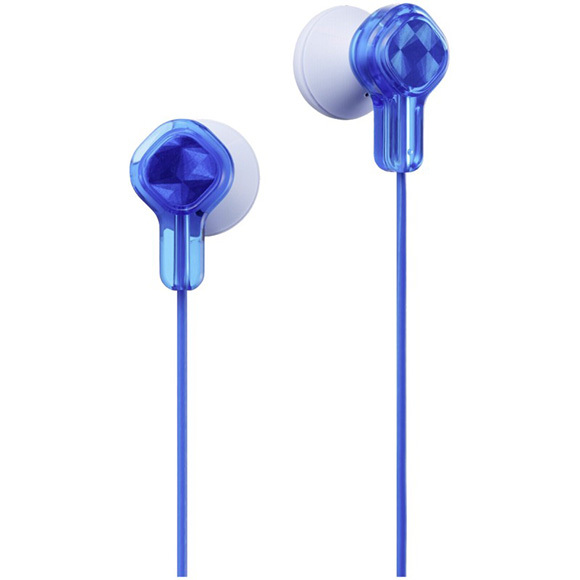 Volume level of JVC HA-KD1 is limited by 85 dB – safe for children level, they are supplied in 4 colors variants : blue, white, light blue and pink; package with headphones contains : stickers for device decoration, warranty card and user’s guide. All in all headphones are good enough and cost around 15 USD, from one side, this price is adequate for their characteristics; from the other : for smaller price there is ability to buy in-ears headphones with better characteristics and for approximately the same sum to buy monitor headphones, providing better sound quality. So, JVC HA-KD1 can be recommended for purchase only if there is need in exactly kids’ headphones, created for them and safe for them. 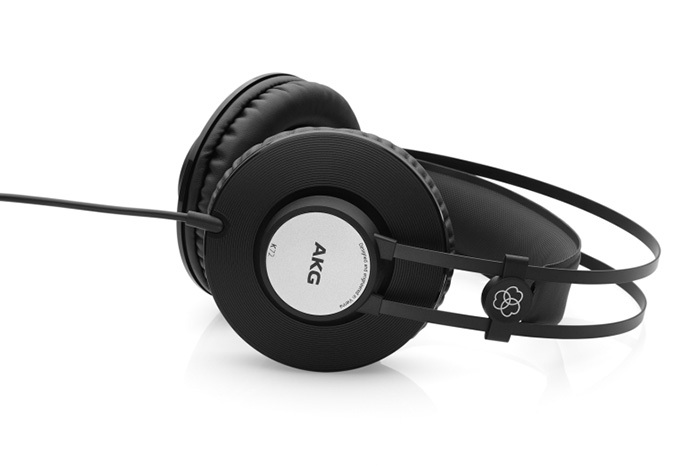 One of the new monitor headphones is a 40 mm device AKG K 72, supporting reproduction of 16 Hz – 20 kHz sounds frequencies, with closed acoustic architecture, 112 dB sensitivity and 200 mW max input power for 70 USD. Their impedance is 32 Ohms and mass is 200 g, cable with 3 m length is connected to only one of the cups, to sound source it is connected via 1/8″ mini jack connector. Headphones are supplied only in matte black color variant, wire is not detachable, earpads are made from leatherette and headphones are not foldable. Package with AKG K 72 contains : screw-on adapter to 1/4″ jack connector, warranty card and user’s guide. Headphones are good : they have large membranes, full range of reproducible sounds frequencies and high sensitivity, their price, from one side, is adequate to their characteristics, from the other : there is ability to find much cheaper good 40 and 50 mm monitor headphones. 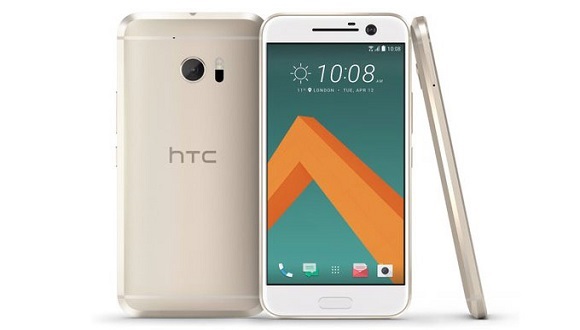 Company HTC announced its new top-level smartphone HTC 10 under OS Android 6.0 operation, with 5.2″ Super LCD 5 screen with Wide Quad HD resolution 1440 x 2560 pixels and tough Gorilla Glass, 4 GB of RAM, 4G LTE, 12 MP main camera ( +4K video ) and 3000 mAh battery. It also has : 64-bits 4-cores processor Qualcomm Snapdragon 820, working on 2.2 GHz frequency, 32 GB of on-board memory, Micro SD flash cards bay with 2 TB max size and 1 Nano SIM cards slot. Smartphone can work in 2G ( GSM 850, 900, 1800 and 1900 ), 3G and 4G LTE networks, supports satellite navigation GLONASS, GPS+A-GPS and Beidou and contains lighting, proximity, acceleration and magnetic fields sensors, gyroscope, as well as fingerprints scanner and Sensor Hub for fitness applications. HTC 10 has 2 good for smartphones cameras : main one with 12 MP BSI sensor, autofocusing, optical image stabilization ( OIS ), f/1.8 aperture, 26 mm focal length with 80 degrees field of view and support of HDR, RAW ( 12 bits ) format images saving and 4K video recording. As well as 5 MP frontal one also with BSI sensor, autofocusing, f/1.8 aperture, 23 mm focal length ( FOV is 86 degrees ) and support of HDR and Full HD 1080p video recording. On external panels of HTC 10 there are : USB 3.1 connector ( top-level smartphone, indeed ) for connection to computer and battery charging, 1/8″ mini jack headsets and headphones connector, microphone and speaker, volume control and power buttons, as well as Display Port for connection of stand-alone monitors. Smartphone supports wireless connections Wi-Fi ( 802.11 a/b/g/n/ac ), Bluetooth 4.2 and NFC for remote communications with other devices and data transfers. 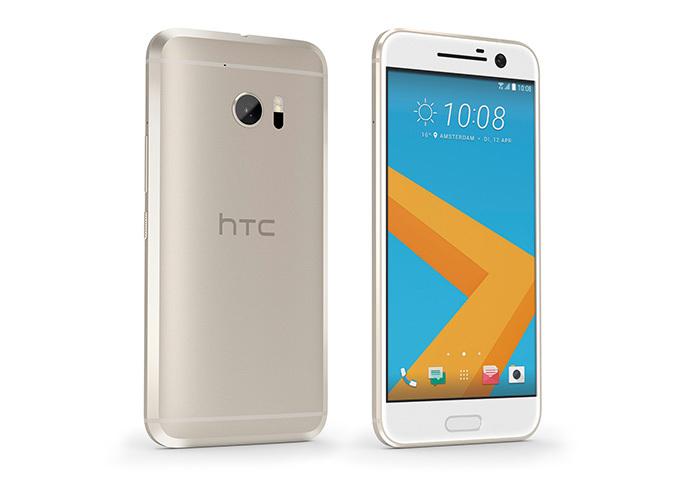 Battery charge of HTC 10 is equal to 3000 mAh, which is a good value for smartphones, it is enough for 19 days in stand-by mode or 27 hours of talking; its body sizes are 145.9 ( height ) x 71.9 ( width ) x 3-9 ( depth ) mm and mass is 161 g.
Package with HTC 10 contains : USB cable, recharger, headset, warranty card and user’s guide. Smartphone is great in most characteristics : with very powerful system, very good cameras with 4K video recording support, 4G LTE, satellite navigation GLONASS, GPS+A-GPS and Beidou, USB 3.1 and all modern wireless connections standards. There is ability to anticipate, that its price will be according. From its minuses there is only ability to note only 1 slot for SIM cards and not the biggest battery capacity. If such top-level characteristics are not needed, then there is ability to buy much cheaper optimal Windows or Android smartphone + tablet PC + good photo camera, wherein receiving better functionality and more devices. Russia anticipates to receive this year resolution from China to supply additional kinds of crops and their processing products, this will contribute into agriculture development in Russia and will strengthen trade between two countries. Uzbekistan, Turkmenistan, Iran and Oman ratified agreement about “Central Asia – Persian Gulf” transport corridor, which will make it easier and faster to transport goods and resources from Central Asia to Persian Gulf, which will help to develop economically these regions. In the world crisis of steel overproduction continues to go on : China produces it in very big amounts and this leads to price lowering; it is now on such levels, that many European plants are unremunerative and companies have to close them. 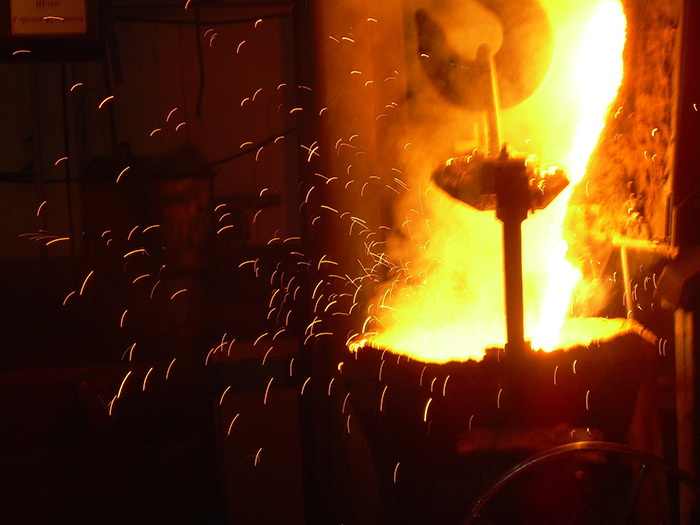 So, European Union introduces new dues on its import from China; China promises to think about lowerings its production, but now does not intend to increase steel making lowering rates for the sake of European manufacturers. Meeting in Doha on oil did not lead to agreement about its production freezing, but this rendered only psychological influence on its price and it continues to be formed by physical market factors. USD to currencies of six biggest trade partners of USA continues to lower, which lead to according changes of resources’ prices. This is all for today from world economical events during week. At this Sunday I rode to Shunuth for exercise, preparation to competitions and for adaptation to clipless pedals. At morning and day weather was changeable : rain downpours alternated with bright Sun, a couple of times I drenched and then dry on the wind and Sun; after rides at Winter, drenching at temperatures above zero do not disturb anymore. The main thing is that there is warm and no frosts and there is ability to ride freely. 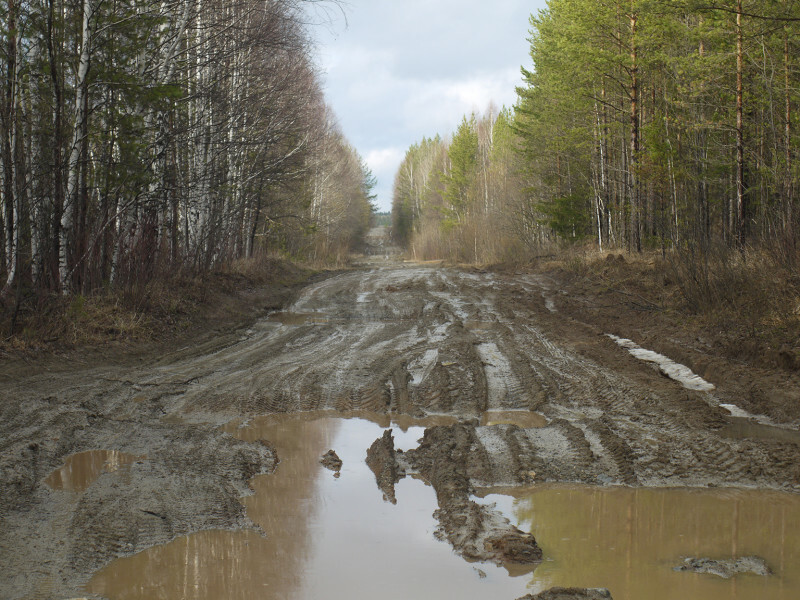 Road to Large Lavrovka is still flooded, in many areas there are large puddles and soft ground; these clay areas, that seemed unrideable previous year, are rideable : somewhere there is ability to walk on feet, carrying bicycle on the shoulder and walking on more or less solid road sides, and somewhere to ride on the bicycle itself, moving on springs beds, washed clay off down to stones. 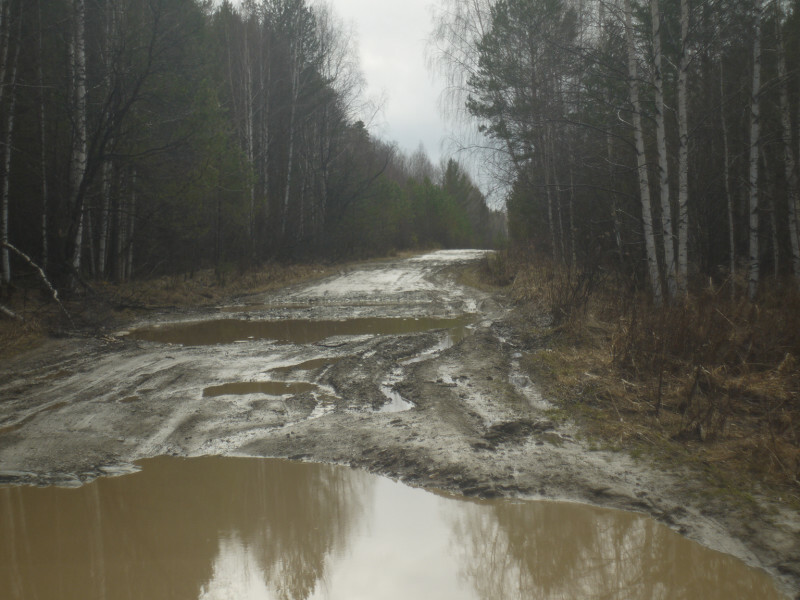 After clay areas there is good ground-stone road, on which there is ability to ride even after rain, it leads up to field near Large Lavrovka and goes further North to village Krasnoyar; road to it is much better, than to Polevskoy. 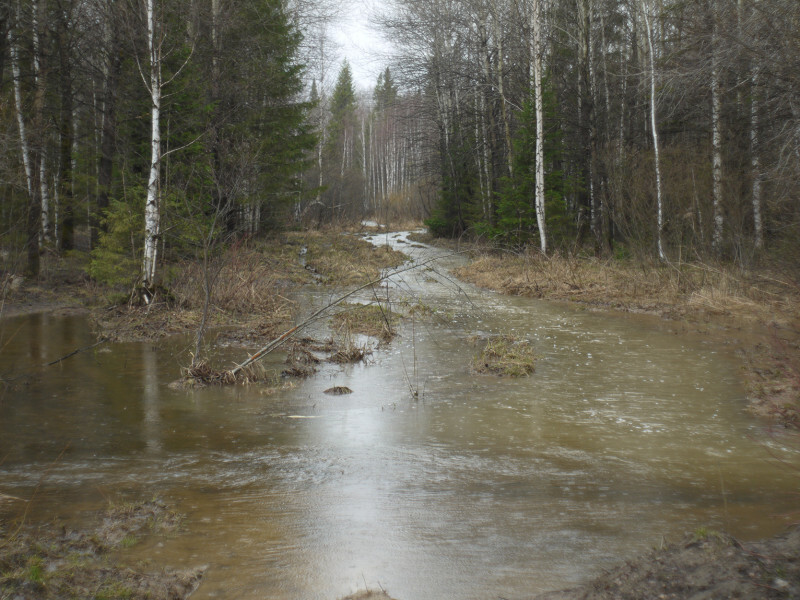 Field is partly flooded, but road in some places is rideable on the bicycle, ground in the forest mainly still wet and soft and there is ability to only walk on it on the feet. 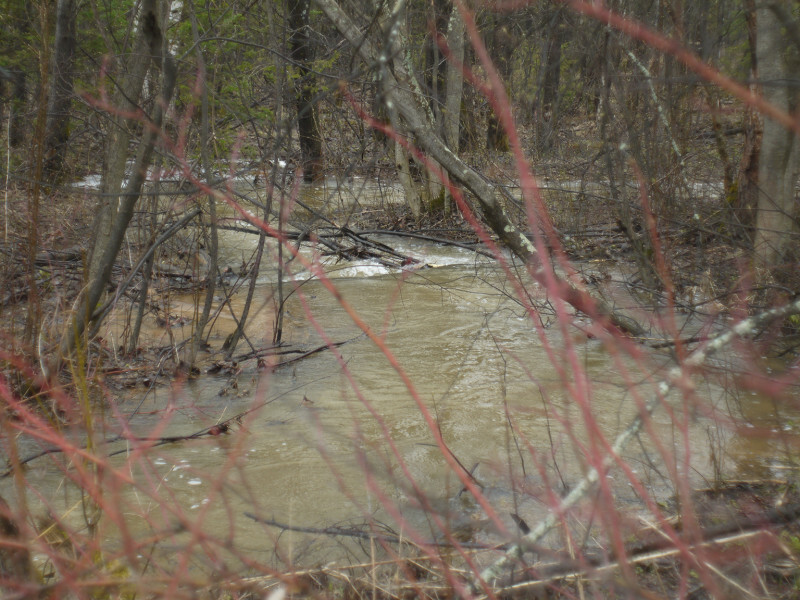 On the fields up to turn to uphill to Shunuth somewhere there is ability to ride on the bicycle, somewhere to only walk on the feet, but after turn everything is flooded, crossing the road 2 m wide river flows, everything is flooded around it and from the mountain rivers flow. 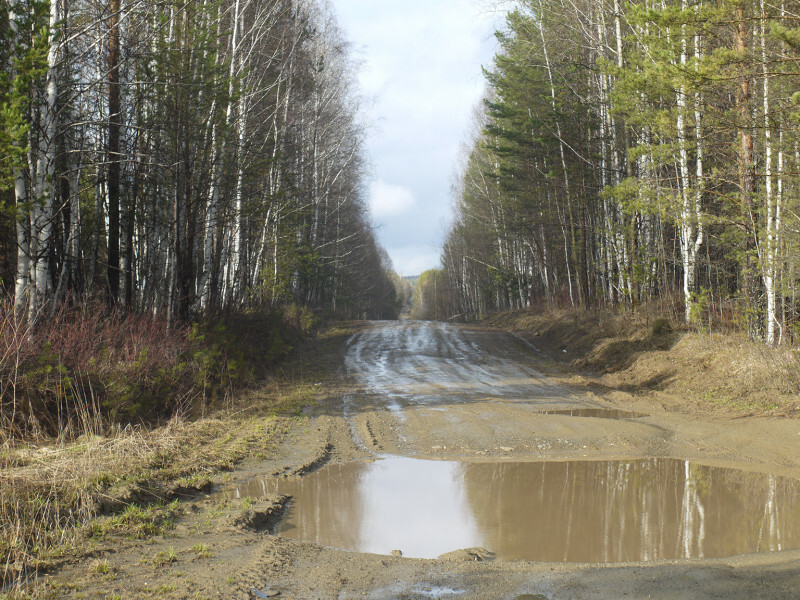 It seems, that not all snow is melted on Shunuth and these areas will be flooded and unrideable for around 2 – 3 weeks, somewhere at the middle of May there’ll be ability to ride to mountain and see what road is. Now even after rainfalls, if rivers do not flow from Shunuth, I’ll be able to ride to mountain through clay areas. From this place I rode home, it is good to ride whole road from Large Lavrovka to asphalt under Sun light; by evening weather became more or less sunny, rainfalls downpours stopped and it became warm enough. Clipless pedals is a good thing : I can ride now on 1 gear higher on the whole distance, can support constant high speed, even into hills and on wet ground and stony areas, and do not tire, doing this, at all, much better control bicycle and my feet do not fall off from pedals on high speed. The main thing is to rotate pedals right and evenly, when one leg presses the other pulls up and this way load on legs is much less; also there is ability ( and necessity too ) to push forward and pull back, providing even pedaling. 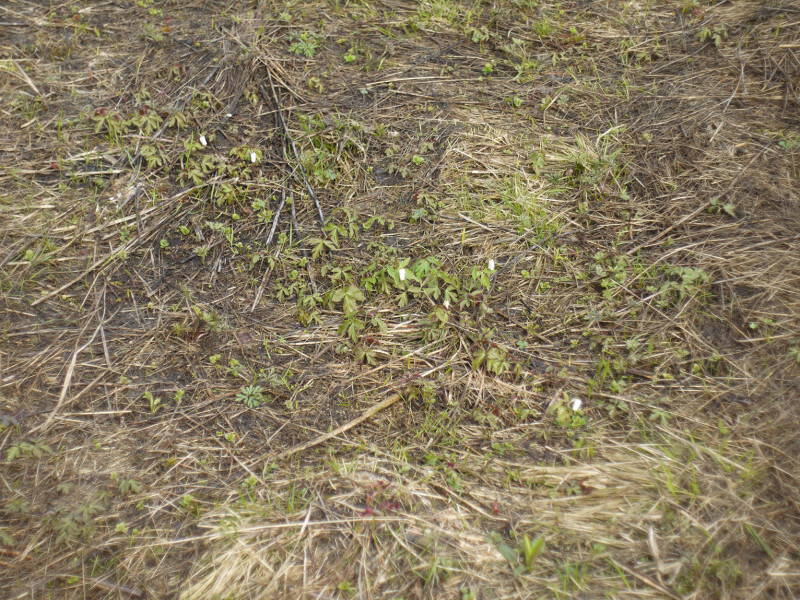 Without problems and fast I managed to asphalt, on it to Polevskoy and then home. Soon competitions will start and there is already ability to ride to Yekaterinburg for participation in bicycles tours with other people, life begins again. 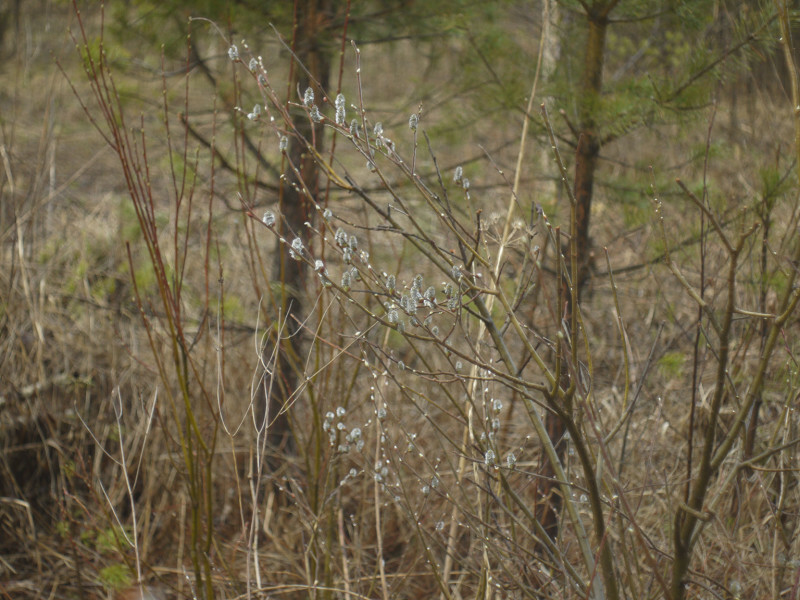 You can see additional photos here : Waterfalls to Shunuth. 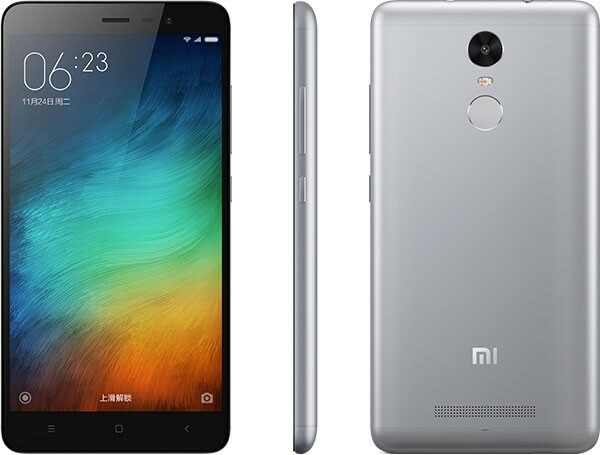 Company Xiaomi released its new device Redmi 3 Pro – Android 5.1 smartphone with 5″ multitouch IPS screen with HD 1280 x 720 pixels resolution, 8-cores processor Qualcomm Snapdragon 616 MSM8939v2, 3 GB of RAM, 4G LTE and 4100 mAh battery for approximately 220 USD. It also has : graphical chip Adreno 405, 32 GB of on-board memory, connector for flash cards with 128 GB max capacity ( it is combined with second bay for SIM cards ) and slots for Micro SIM and Nano SIM cards. Smartphone can work in 2G ( GSM 900, 1800 and 1900 ), 3G and 4G LTE ( LTE-A, EV-DO Rev. A ) networks and has satellite navigation GLONASS, GPS+A-GPS and BeiDou, as well as proximity, acceleration, gravitation and lighting sensors, gyroscope, compass and fingerprints scanner. 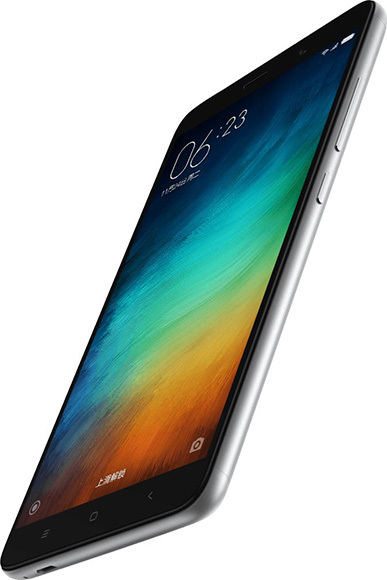 Xiaomi Redmi 3 Pro has 2 good for smartphones cameras : 13 MP main one with flash and autofocusing and 5 MP frontal one with fixed focus; it supports wireless connections Wi-Fi ( 802.11 a/b/g/n/ac ) and Bluetooth 4.1 for remote data transfers and communication with other devices and does not support NFC. On its external panels there are : 1/8″ mini jack headsets and headphones connector, Micro USB 2.0 port for connection to computer and battery charging, microphone and speaker, as well as power and volume control buttons. Battery charge is 4100 mAh, which is a good value for smartphones; device sizes are 69.6 ( width ) x 139.3 ( height ) x 8.5 ( depth ) mm and mass is 144 g.
Package with Xiaomi Redmi 3 Pro contains : USB cable, recharger, headset, warranty card and user’s guide. Smartphone has great characteristics : large IPS screen, 4G LTE, very powerful system, very capacitive battery, good cameras and modern wireless connections standards, its price is far lower, then similar devices of other manufacturers have. So, it safely can be bought, if such functions are needed; if they are not needed, then there is ability to buy much cheaper optimal Windows or Android smartphone and tablet PC. 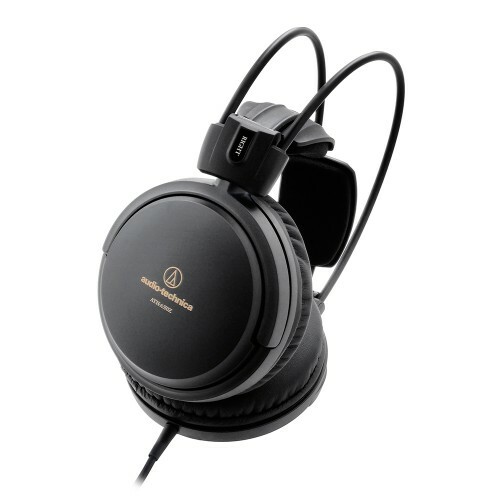 Novelty of even more professional level of Audio-Technica company is a 53 mm monitor dynamic headphones ATH-A990z with 5 Hz – 42 kHz sound frequencies playback support, 2000 mW max input power and closed acoustic architecture. Their sensitivity is 100 dB/mW, impedance is 44 Ohms and mass is 335 g. Cable has 3 m length and is connected to sound source via 1/8″ mini jack plug with gold-plated contacts, it is attached to only one of the cups and is not detachable. Headband has automatic adjustment mechanism for listeners with different heads sizes; cushions are made from soft material for comfortable wearing over long time. Headphones Audio-Technica ATH-A990z are not foldable, in each cup they have only 1 driver; manufacturer does not tell which magnets are used in device, but, the most probably, they are neodymium magnets; headphones are created with use of Double Air Damping System technology, allowing to better and more loudly reproduce basses due to their resonance in body of cups. Device has no active noise-cancellation function, as part of other monitor headphones have, but they have good noise isolation. In place of entering into cup cable is additionally reinforced with resin lining for increased durability and wear resistance during bending and tear-off forces applications. Cable has no built-in microphone and smartphone and volume control buttons. Body around membranes of Audio-Technica ATH-A990z is made from aluminum for reduced chatter during audio playback; manufacturer tells about implementation of additional measures for Amplitude-Frequency Characteristic equalization : basses pumping up and high-frequencies normalization. 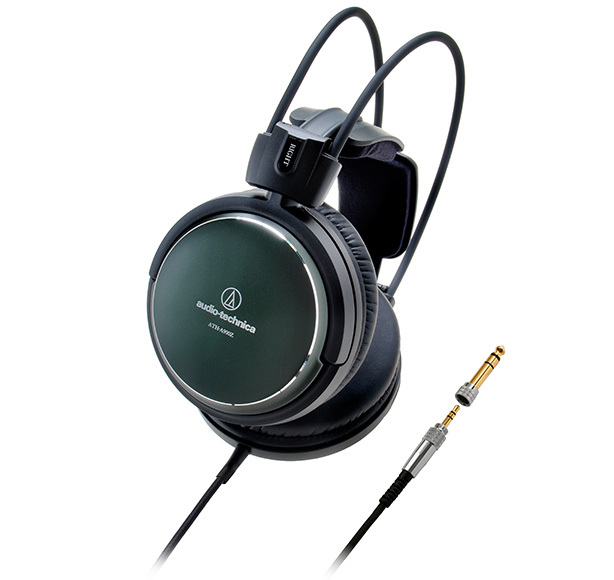 Package with Audio-Technica ATH-A990z headphones contains : screw-on adapter to 1/4″ jack connector also with gold-plated contacts, warranty card and user’s guide. 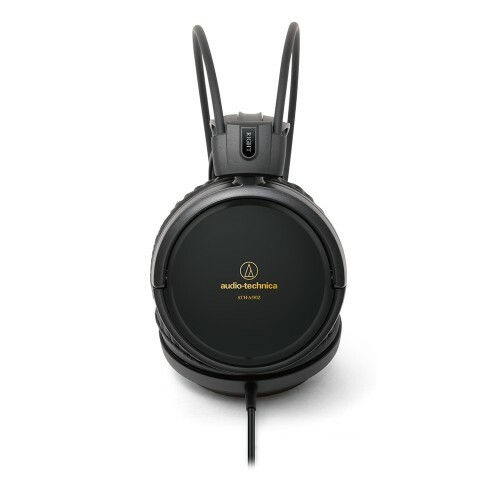 As most of the devices of Audio-Technica company, ATH-A990z are designed for professional studio use and have excellent characteristics for this; their price corresponds to this : 200 – 280 USD, and is not overly high for device of such level. For everyday high-quality sounds and music listenning such characteristics are not needed and there is ability to buy much cheaper consumer-level 40 or 50 mm monitor headphones. Also, if compactness and lightness are needed the most, then there is ability to look on in-ears headphones, which do not reproduce sounds as good, as monitor headphones, especially basses, but have small sizes and mass, which is the most needed during sportive exercises and trainings; also this type of headphones often have slider and clip on cable to prevent its tangling and clinging to clothes and surrounding objects. There is also need to note, that Audio-Technica – is a Japanese company, established in Tokyo in 1962 year, as phonographs cartridges producer. Then it started to develop and introduced among its products microphones and headphones, among which now there are wired and wireless models. At current moment it is one of the leading foreign consumer sound electronics and government organizations devices supplier in USA. And in the country of a rising Sun audio devices are usually made with high quality of components and assembling. Company Audio-Technica releases new professional 53 mm monitor headphones ATH-A550Z with closed-back architecture, 5 Hz – 35 kHz sound frequencies playback support and 100 dB sensitivity. Their impedance is 40 Ohms, maximal input power is 1000 mW and mass is 300 g without wire accounting. Cable has 3 m length and is connected to only 1 of the cups; it is plugged to sound source via 1/8″ mini jack connector with gold-plated contacts. 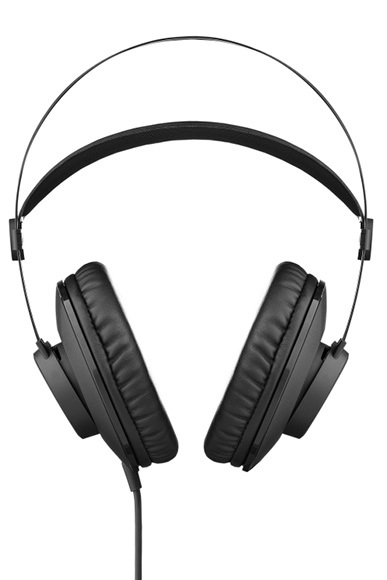 Headphones are released only in matte black color variant and have soft ears pads for comfortable long-time wearing. Cable of Audio-Technica ATH-A550Z is not detachable, is covered with cloth material for increased durability and wear resistance and in place of entering into cups additionally reinforced with resin tubes; they are not foldable and have no active noise-cancellation function, however their noise isolation is quite good. In both cups there is only 1 driver with CCAW audio coils, manufacturer does not tell which magnets are used in device, but the most probably, these are neodymium magnets; headphones use Double Air Damping System ( D.A.D.S. ) technology for more high-quality and loud basses reproduction. PCB of Audio-Technica ATH-A550Z is placed in their top part for more free air flow and precise diaphragms movements. Package with Audio-Technica ATH-A550Z contains : adapter to 1/4″ jack connector, warranty card and user’s guide. Headphones are oriented on professional use and have all needed characteristics for this, their price corresponds to this : 160 – 180 USD. For professional equipment such price is justified; for usual high-quality music and sounds listening such characteristics are not needed and there is ability to buy much cheaper consumer-level 40 or 50 mm monitor headphones for much smaller price.